Be the first to share your favorite memory, photo or story of Matio. This memorial page is dedicated for family, friends and future generations to celebrate the life of their loved one. Durham: Matio Rose, 87, died Tuesday, March 19, 2019, at Hillcrest Convalescent Center. He was born in Harnett Co., the son of the late Michael Rose and Rena Cuddell Rose. He was preceded in death by his wife of 50+ years, Annie Suggs Rose. Matio was a hard-working man and always has been. He always said if you quit working then you won’t last on earth. I guess that’s true, he is 87 years old. He is a good man and done a lot for a lot of people. Daddy was an outside person loved mowing yards and tending to his rental properties. Daddy was in the Army years ago when he was young and was stationed in Kansas City when he and Annie had Ben, their son. He loved all his kids, grandkids and great-grandkids too. 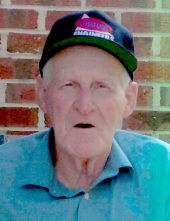 Mr. Rose is survived by his children, Ben Rose of Smyrna Beach, FL, Angela Burch of Durham, Shirley Jannetta of Durham, Marilyn Shotwell of Oxford; grandchildren, Christopher Snipes, Shannon Burch, Dylan Fleming, Angelo Domonick Jannetta, Antonio Jannetta, Heather Ellis; great-grandchildren, Ariel Boyd, Roxann Jannetta, Angelo Domonick Jannetta, II, Haley Burch, and Seth Burch. A funeral service will be held 1 p.m., Thursday, March 21, at Clements Funeral Chapel in Durham with Rev. Greg Allison officiating. Burial will follow at Woodlawn Memorial Park. The family will receive friends one hour prior to the service from 12 to 1p.m. at Clements Funeral Home. To send flowers or a remembrance gift to the family of Matio Rose, please visit our Tribute Store. "Email Address" would like to share the life celebration of Matio Rose. Click on the "link" to go to share a favorite memory or leave a condolence message for the family.